English Tourist Board, 5 Diamonds, New for 2000 a Special Silver Award. A huddle of local stone buildings of atmospheric antiquity, the farm lies upon gentle western slopes at the head of the Polperro valley, an undisturbed retreat among some of the finest of rural Cornish Landscapes. Ideal as a base from which to experience the fascination of Cornwall, the unique calm of it's south-eastern regions, or simply as a place in which to conduct the leisurely business of a restorative break, we are sure you will find Trenderway eminently suited to a calmer pace of life. Being a Premier Selected 5 Diamond farmhouse you are assured that the accommodation, food and hospitality are of the highest quality. 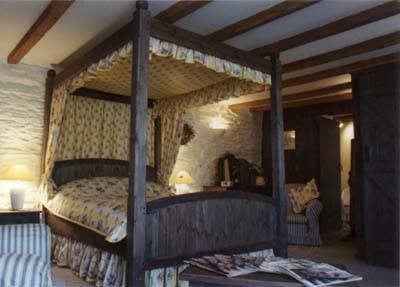 You have a choice of a twin or a king-size double bedded room in the main farmhouse, or the Barn (adjacent to the house) with a double king-size or four-poster suite. 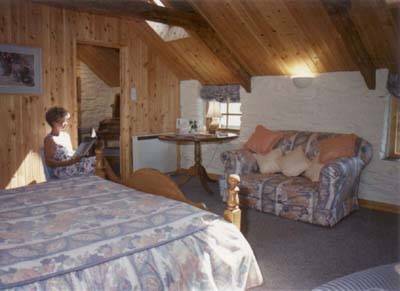 All our rooms include en-suite bathrooms with a bath and shower, colour television, tea and coffee making facilities and all are centrally heated, with electric blankets for the cooler months. Our accommodation fee includes either a full four-course English breakfast in our conservatory or a lighter continental version (for those who intend to break for lunch!) Although we do not provide an evening meal, we are pleased to be able to recommend a number of restaurants nearby for your patronage, while our local 16th century Inn, with its beautiful antique lounge bar and commendable bar meals is often to be borne in mind. End your evening comfortably disposed about an open fire in our large sitting room. Miles of breathtaking National Trust cliff paths. The Spectacular Eden Project, just half an hours drive. Also the wonderful Lost Gardens of Heligan. Golfing at St. Mellion, Looe, Carylon Bay and Whitsand Bay. Horse riding in woodland and lanes. Talland Bay beach one mile away; beautiful and famous of old for smuggling and wrecking. "This lovely 16th Century farmhouse surrounded by granite barns offers very superior accommodation. Lynne Tuckett has decorated four bedrooms - two in a converted barn - with the flair of a professional interior designer. Bathrooms are the size of some hotel bedrooms, and contain separate shower cabins as well as bath. 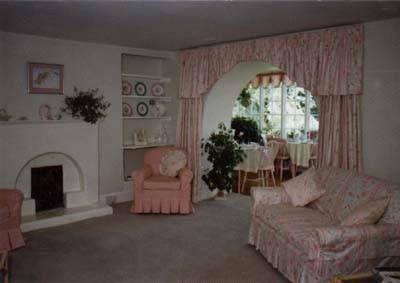 There's a sitting room for guest and a sunny breakfast room in a conservatory where eggs from the farm's free-range chickens and sausages from the local butcher are served at 9 a.m. The warm welcome and stylish decor beats country house hotels hands down"
Double from £30 to £35 per person per night. 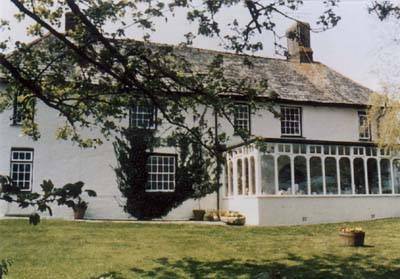 Trenderway Farm is a quarter of a mile west of the A387, half a mile before Pelynt. We are between the Pelynt and Polperro forks of the western road from Looe, 40 minutes from Plymouth.